Meets CPCB noise and emission norms. 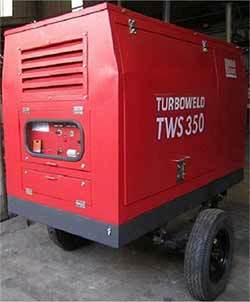 2.5 KVA single phase and 7.5 KVA, 3 phase AC Auxilliary power. Excellent welding quality with all types of electrodes. High temperature class H insulation. Battery charging indicator, fuel indicator, temperature indicator, low oil pressure indicator, rpm meter.